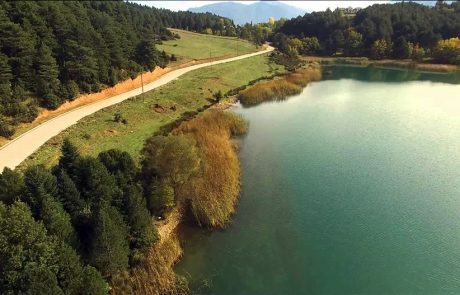 A crafted lake with unparalleled natural beauty that is suitable for many activities among tall mountain peaks and together with Lake Tsivlou in Achaia are two of the most beautiful lakes in the Peloponnese. 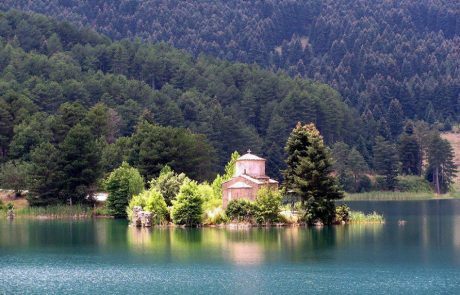 Ideal for hiking or cycling around, and boldly diving with the appropriate diving equipment in the icy waters looking for the old iconostasis of St. Georgiou, which is submerged at a depth of 8 meters. 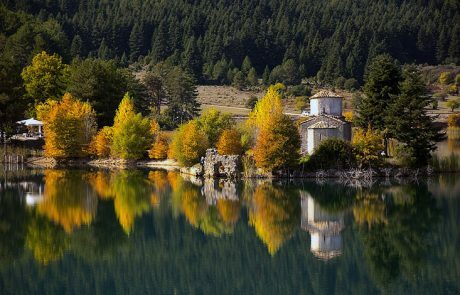 It is located in the municipality of Feneos at an altitude of 880 meters. He is aged 10-15 years but for centuries in the wider region the rise of water from the floods caused problems, destroying cultivated areas and led to the transfer of the old monastery of St. George to its current location, well above its level today’s lake, at the end of the 17th century. 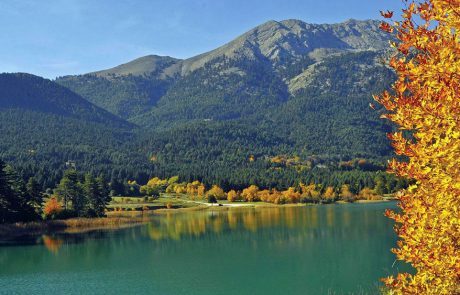 The natural landscape around the lake is beautiful, as 3 towering mountains dominate the Peloponnese, Ziria, Helmos and Durdouvana. 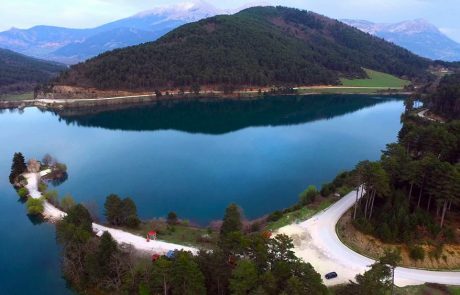 Another element that enchants the lake, which from several points on the perimeter of the lake seems to be in the lake and on some islet. In fact there is a dirt strip leading to Agios Fanourios, where the old monastery of St. George was located. 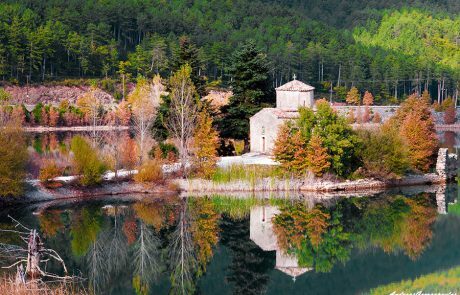 A visit to the historical monastery of Agios Georgios is also worth seeing, from the lake level, not only to the excellent panoramic view it offers, but also to taste the sweet rose made in the monastery, but also to admire near the carved the temple.